30 players played in this tournament. 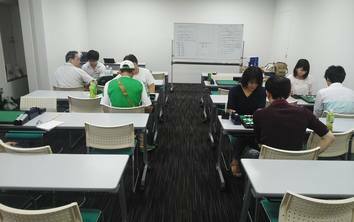 After round five Kosuke Sasaki was leading with 4.5 wins. 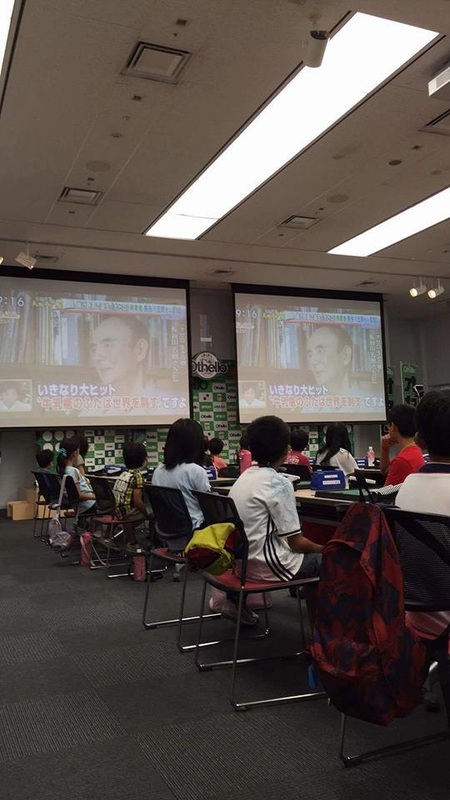 He lost to Takeshi Murakami in the last round. 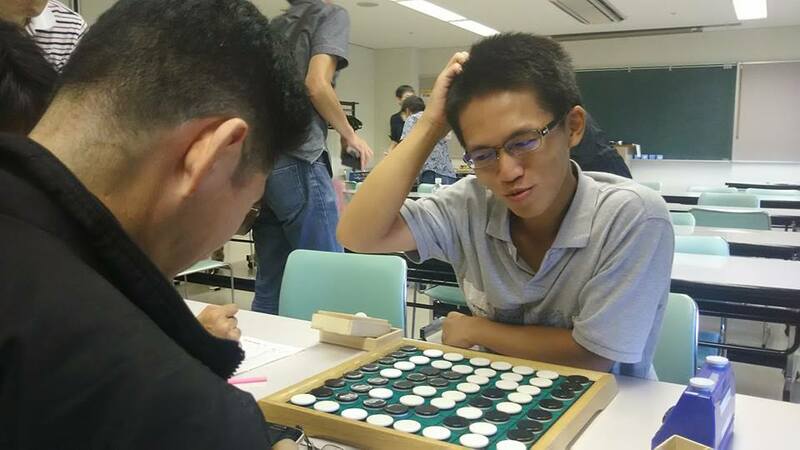 Murakami seemed sure to win the tournament but Yusuke Takanashi beat Tetsu Satani 57-7, accumulating 3 more discs than Murakami. A well attended tournament with 46 players. 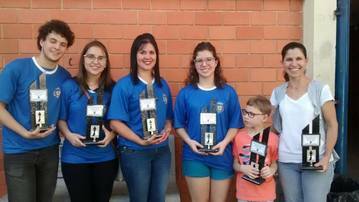 Lots of interesting games and a new champion, Dinah Tavares Godoi. 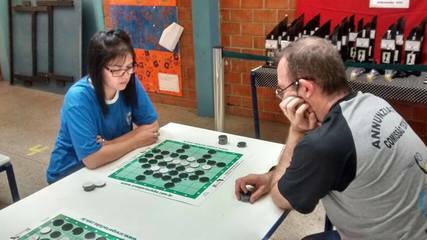 She played a very strong tournament and won all her games. A total of 13 players at this tournament. Kei-ichi Yoneyama won with 5 wins and 1 loss in round 2 against the runner-up Sohei Sasaki. Sohei Sasaki was in the lead till round 6 in which he lost against the number 3, Satomi Takahashi. Sorry, earlier I reported that Daisuke Kamikura won this tournament, but something went very wrong in translating the Japanese names. ​Two gold medal winners at this event: Paul Smith and Riccardo Gueci. Guy Plowman and Roy Arnold both went home with a shiny bronze medal. Congrats to all! ​The Mind Sports Olympiad is an international event with over 60 different board game competitions ranging from classics like Chess, Scrabble, Othello and Go to newer games. Card games figure too, with an amateur Poker world championship and bridge. The most prestigious title is the Pentamind World Championship, which is awarded to the competitor who has the best results from five different competitions. 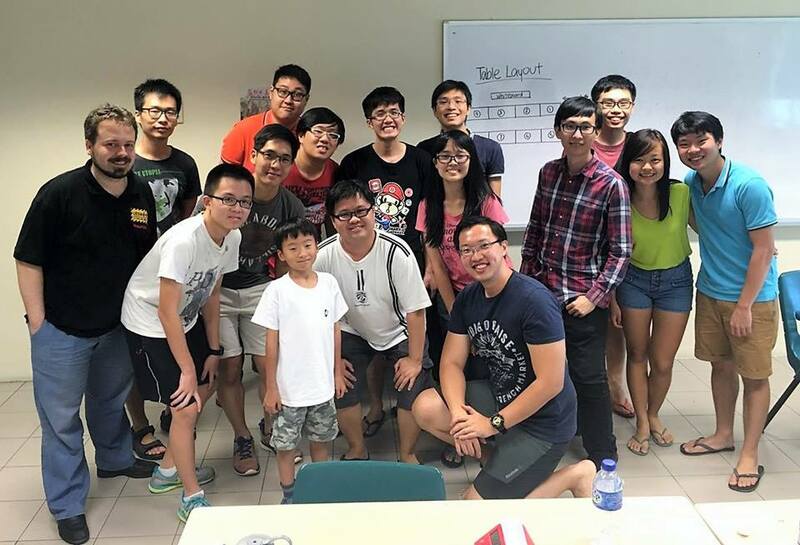 ​16 players at the 13th Singapore Othello Open. Winner Eddie Low won 6 games out of 7. 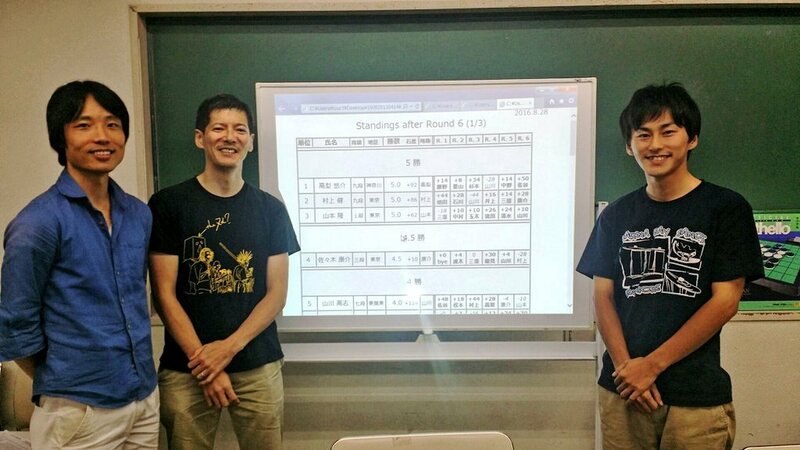 Masaki Takizawa and Yura Abe qualified for the final with 5 wins and 1 loss. Last February Masaki Takizawa (World Othello Champion 1985 and 1994), won the 29th Sea of Japan in a 29-35 final. At this 40th edition of the Sea of Japan the score in the final game was again 29-35. But this time the winning 35 score was not for Takizawa, but for Yura Abe. - Registered players for Ground Othello, Eight Star Othello and M5 Skyguest. - The WOC 2016 schedule is updated! Please check careful the dates at 1/11 Tuesday for registration and opening ceremony! SmartOthello was created by Anders Kierulf, an independent software developer living in Salt Lake City. 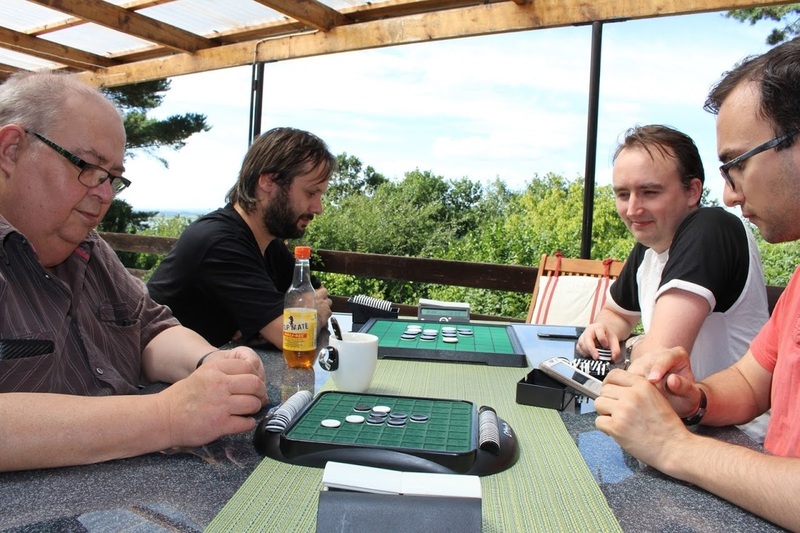 Anders was the 1992 US Othello Champion. He played at six Othello World Championships: Paris (1983 & 1988), Warsaw (1989), Stockholm (1990), New York (1991) and Barcelona (1992). The app as it is now is aimed at the general public, not top Othello players. I had hoped the app would be like my favourite Othello app, DroidZebra (which I can not use on my Ipad). I emailed Anders: "What I miss most is beeing able to enter games (eg at a tourney) and doing a game analysis. In fact, what I really want is an app like Droidzebra for Apple. Any chance of this in future releases?" Anders replied: "It’s possible that I will add functions like that in future versions. 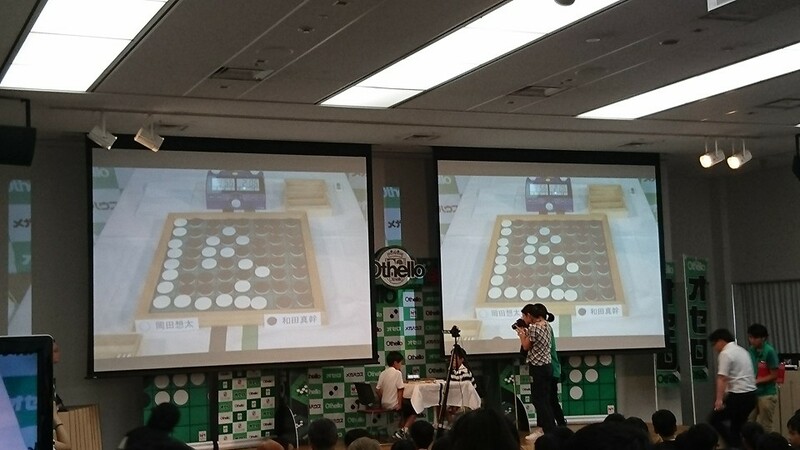 If you look at SmartGo Kifu, you can see those kind of functions for the game of Go, and as I’m rewriting the Go apps in Swift, some of those functions will migrate to Othello." I tried to play against a random opponent, but my opponent never made a move and the game does not seem to have a timelimit. When I tried another game I was matched against the same opponent, who was still apparently afk. Without a good number of available players, online games are not very interesting. Play against the computer at master level is very slow on my 3-year old IPad. I was told it's faster on newer devices. 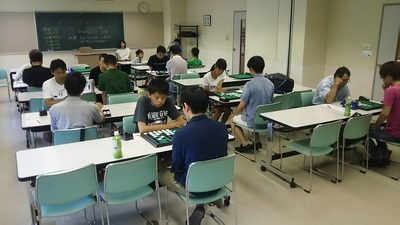 ​Twenty two players at this tournament. 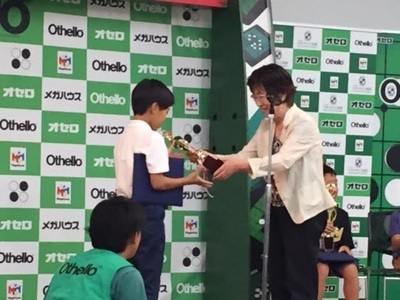 Kazuki Okamoto, World Othello Champion in 2013, won the tournament with a perfect score of 6 wins. Second place for Kohachi Fukunaga who scored 5 wins. 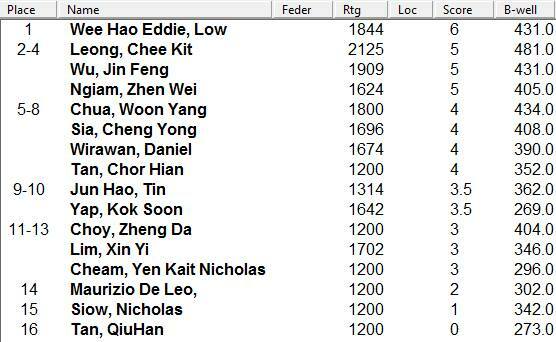 Twelve players at this tournament. Takanori won with 5 wins and 1 loss. 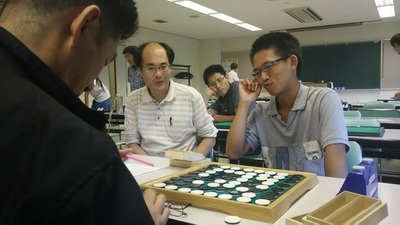 Runner-up Kazu Satohisa also scored 5 wins and 1 loss. Kazu defeated Takanori in round 3 but lost against Kenta Saito in round 5. Third place for Kenta Saito who scored 4 wins and 2 losses. ​Andrei Kryvasheyev wins Belarusian Championship "Gomel-2016"
Final: Luigi - Andrei: 31-33. It looked like Luigi was going to win the tournament but a mistake at move 55 and the title went to Andrei. 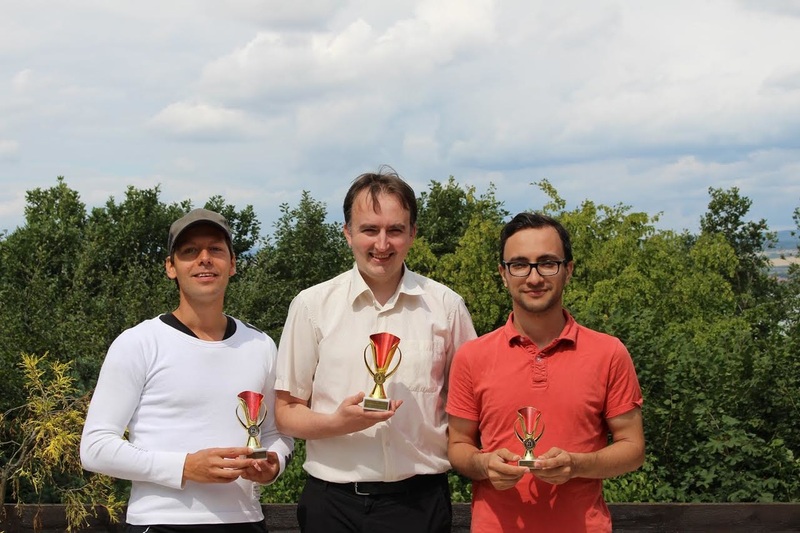 What a great result for Matthias Berg, he won his 15th national title with a perfect score of 10/10! 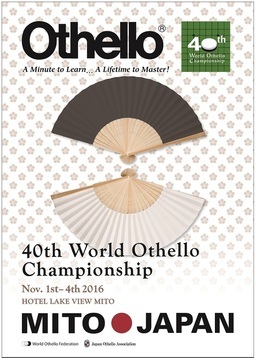 ​ Hello, all participants in the 40th World Othello Championship 2016 and their families. I am Yasushi Takahashi, Mayor of Mito. 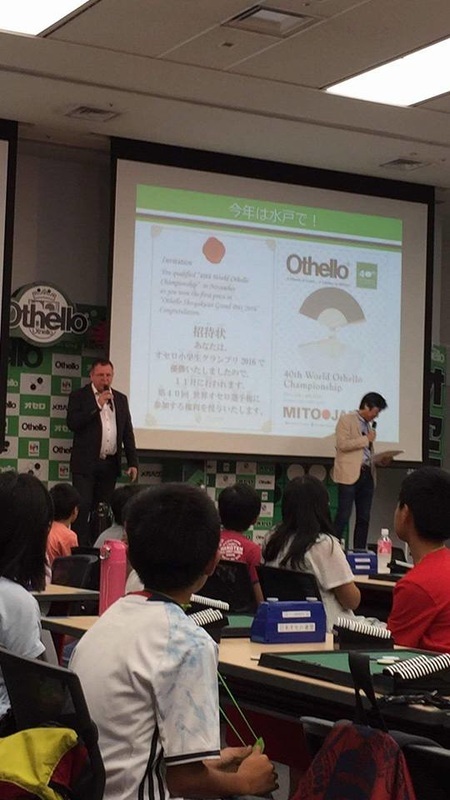 I am pleased that the 40th World Othello Championship 2016 will be held in Mito. 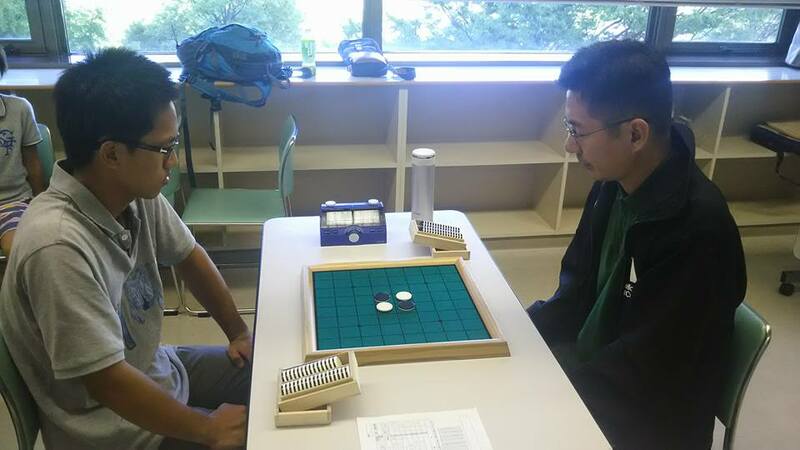 Othello is the board game invented by Mr. GORO Hasegawa who is from Mito city, chairman of the Japan Othello Association, in 1945 and has as many as 600 million enthusiasts in 30 countries and over. Mito city took on a lot of damage from the 2011 Great East Japan earthquake. But since we have been coping with its restoration and rehabilitation, it has been almost recovered. And concerning the resulting nuclear power station accident in Fukushima, we have been confirming that it does not influence on the health of residents about air radiation dose and so on since that time. Even now, we have been measuring radiation dose of drinking water and agricultural products frequently in order to make absolutely sure for safety. So you can have every food and drink of markets and stay safely. 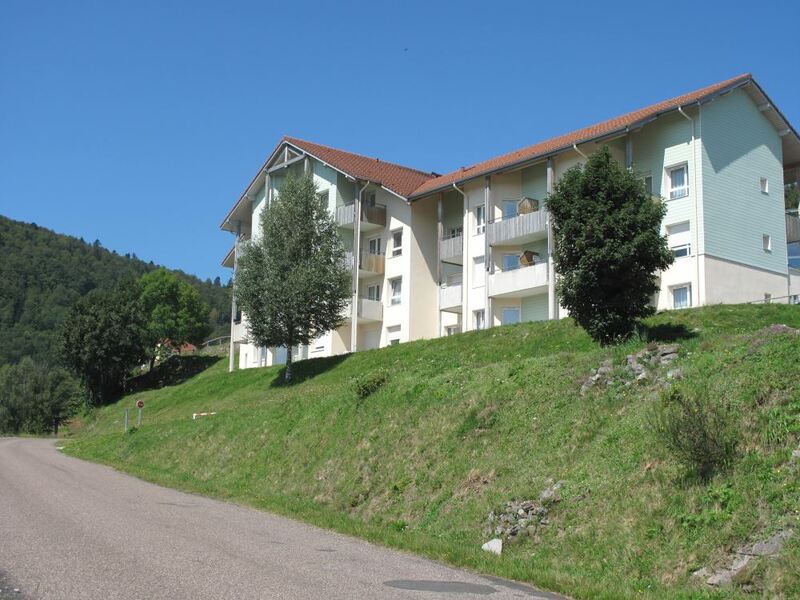 As the birthplace of Othello, we will do our best to entertain all for your satisfaction. 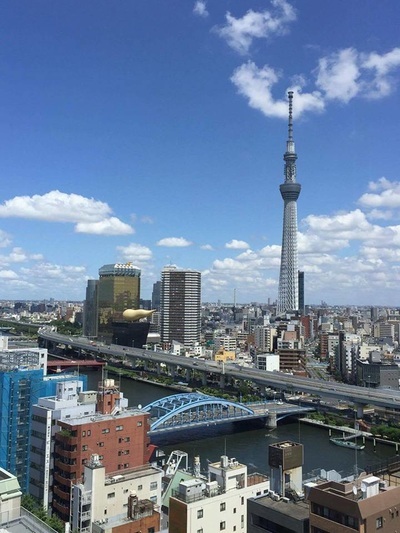 So please do not worry and come to Mito city. 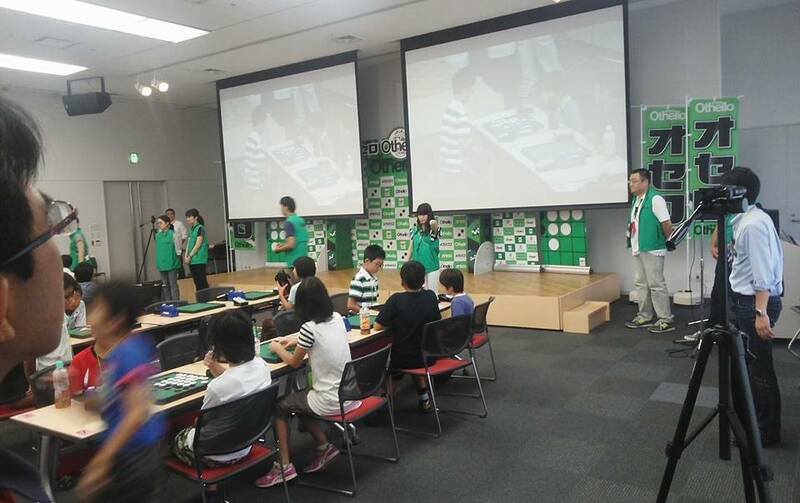 I hope each national member plays the game in real earnest and this tournament is splendidly held. 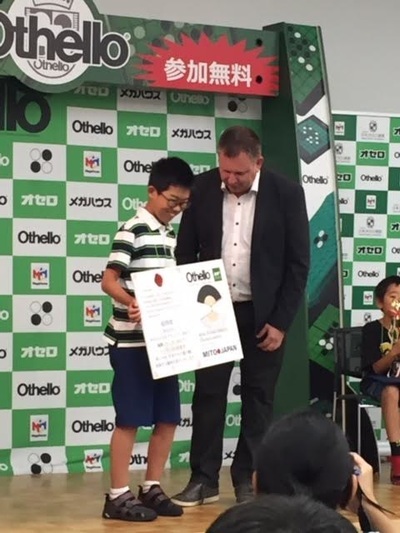 ​About 1100 young players age 6 - 12 played in tournaments in 13 Othello districst to qualify for this Grand Prix. 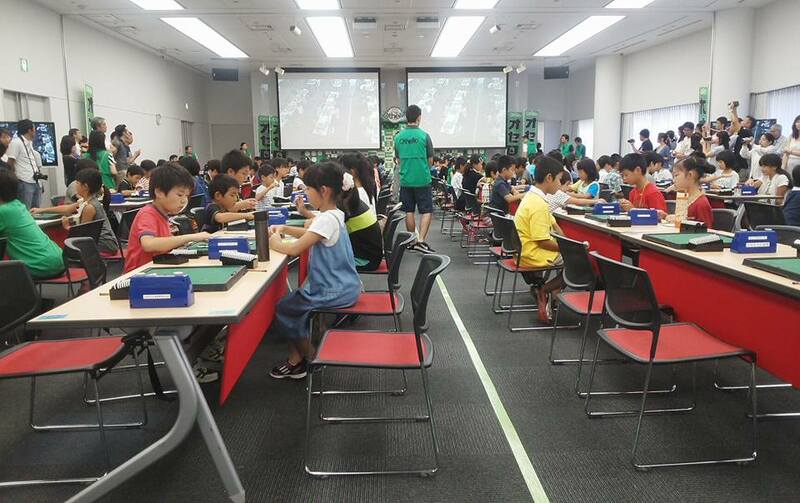 141 of them play today at the Bandai headoffice, Asakusa, Tokyo. The winner will play in the World Othello Championship 2016. It is my dream that one day this wil be reality in all our federations. 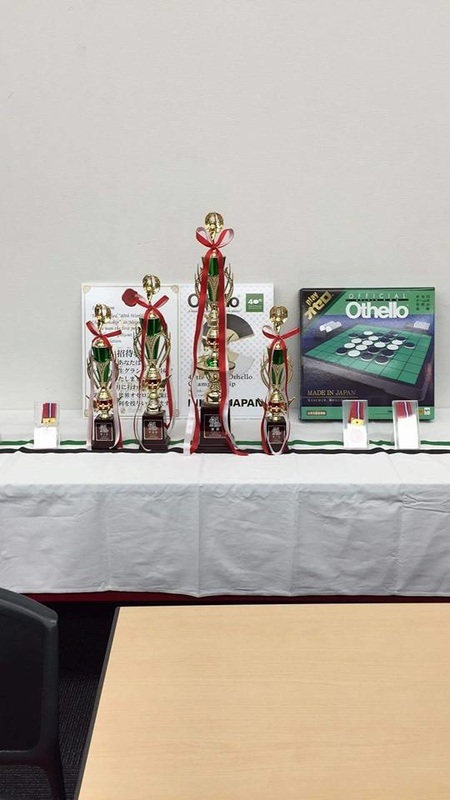 That each federation has a lot of young players who play Othello at events, schools and tourneys. 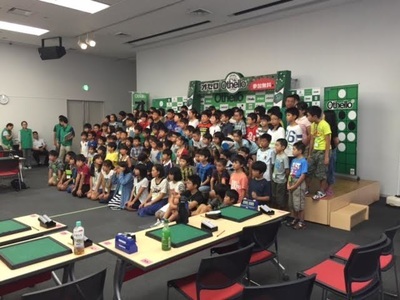 And one day some of them them will meet in a World Othello Youth Championship! It is a dream. It can become reality! 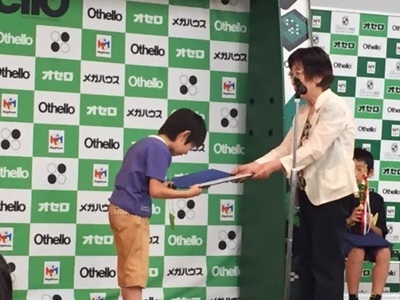 Today there are youth Othello events in Japan, Italy, Netherlands, Switzerland, Serbia, Estonia, Czech Republic, Brazil, Korea, Singapore, Thailand, India and Mongolia. This is a start of something really good! But we all need to work together! Only together we caan make this happen! 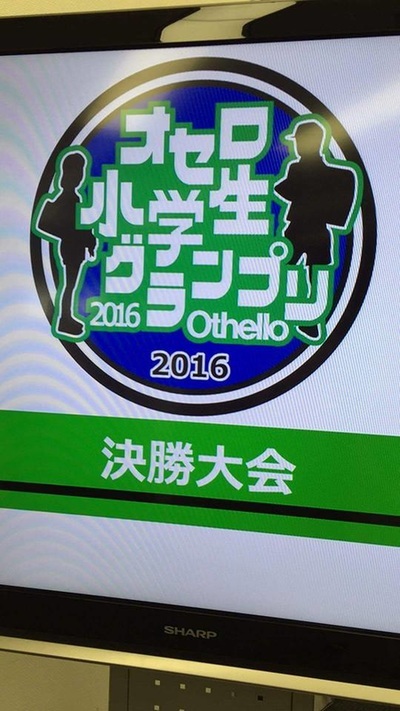 The World Othello needs you! With you and the Othello federations interest to make Othello more wellknown and arrange Othello events for youths and in schoosl we can make this possible! The kids are our future! 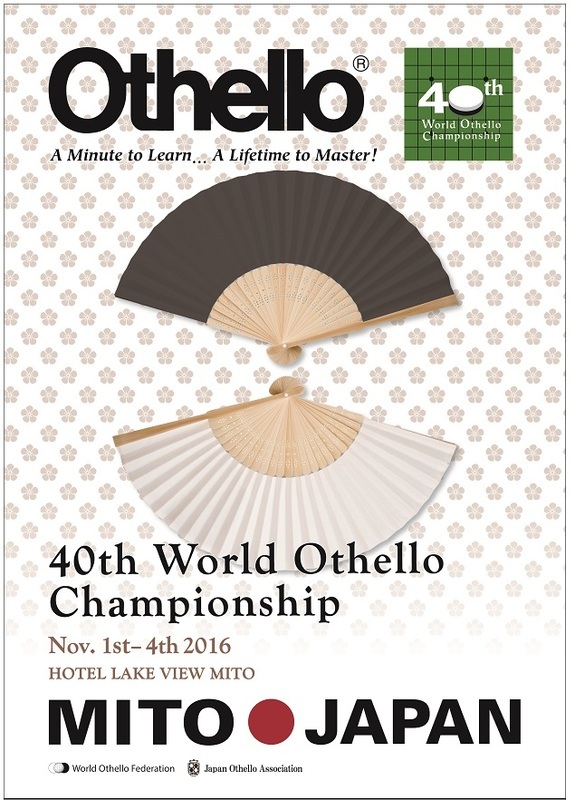 Let us work together to create a fun and positive World with a lot Of Othello! 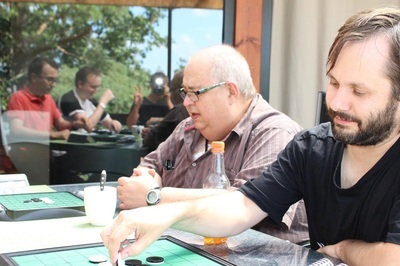 The FFO Othello summerschool tournament was a great succes for Arthur Juigner. He won all his game. Second place with 4 wins for Marc Tastet and Monique Lecat.